Shining Star Matthew and his mom, Julie, on a hike at our Grand County Family Adventure Program. Matthew and his snowboarding instructor, Kory, at the Aspen Winter Games Program. Enjoying a day riding horses with the Shining Stars. 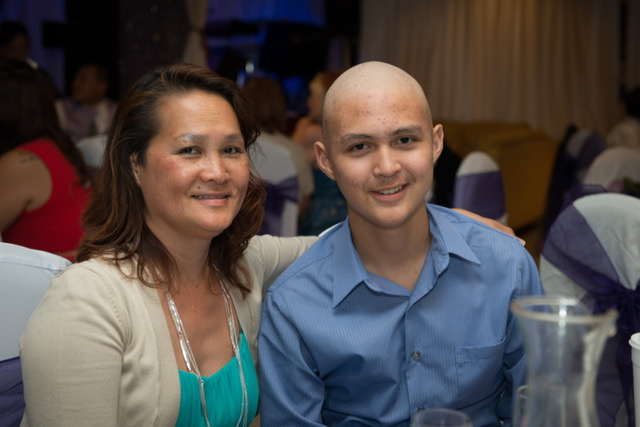 “Why him and not me?” Shining Star mom Julie remembers asking herself this question when her 15-year-old son Matthew was diagnosed with a rare brain tumor. A question no parent should ever have to ask. Julie can’t forget the day her son was diagnosed with cancer. She had taken Matthew to the doctor after he started having double vision during baseball practice in 2014. Soon after, she got a call during work that she never expected. Her son Matthew had cancer – a germinoma, an extremely rare brain tumor. She immediately picked her son up from school and drove him to the hospital, a drive which seemed like an eternity. How do you tell your child they have cancer? Matthew was started on 6 months of treatment. He had one of the most aggressive regimens out there for chemotherapy and radiation. He lost a lot of weight, lost his hair, and even developed an allergic reaction to one of the chemo medications. “When he got diagnosed, we knew of no one else going through anything like this. It was very isolating,” Julie shared with us. Matthew’s doctor recommended he attend the Winter Games Program with the Shining Stars Foundation, and he jumped at the opportunity. Matthew joined 70 other pediatric cancer patients for a week in the mountains that he would never forget. He snowboarded for the first time in his life and felt the freedom of cruising down the mountain. He felt alive. Strong. Limitless. He met friends he still keeps in touch with to this day. He bonded over shared experiences and traumas. 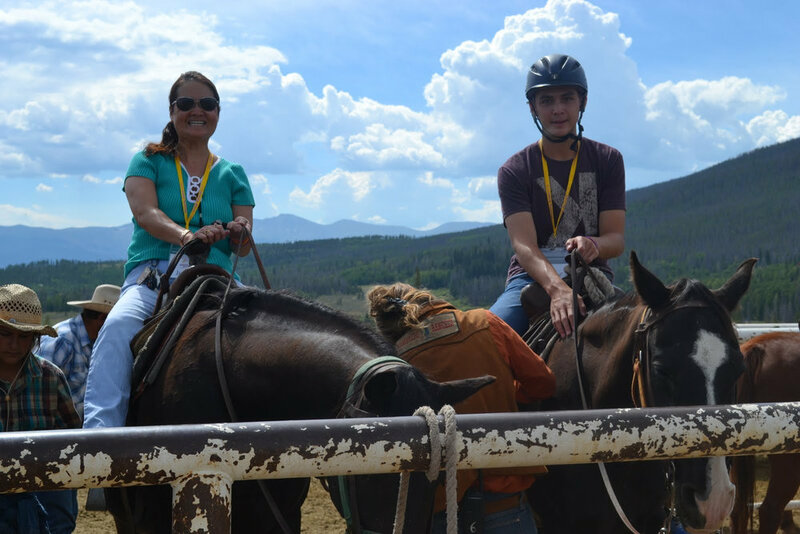 Once he returned home from Aspen, Matthew and his family were invited to over 70 other events and programs with the Shining Stars, including a five-day family camp in the mountains. It was a chance for the whole family to find healing. They were no longer alone. Matthew’s advice for other kids facing cancer is “Don’t keep it to yourself. Don’t be afraid. Don’t let cancer define you.” That is why Shining Stars exists. To help families move past just surviving, to thriving and fully living again. Supporters like you make this all possible. Matthew, hanging out with new friends at the Shining Stars disco party!